Here I am trying to figure out why my baby hasn’t started to bounce back yet, and I find out that it actually gets WORSE before it gets better. Not that she isn’t doing well. But she is definitely not herself. Still throwing up, still collapsing on the ground at random moments and falling asleep at the drop of a pin, still screaming over the slightest thing you do that she doesn’t like, still waking up 3 times in the middle of the night, unconsolible. Week 3 is comin’! Before I found out that “it gets worse” I was like, “SERIOUSLY? It’s been over a week! Why are we still dealing with this? ?” It was disheartening to say the least. 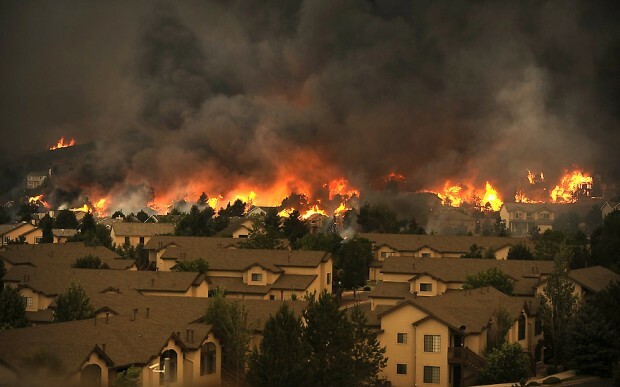 Remembering all those in Colorado today, dealing with those horrible fires. Many writer friends I know are leaving their homes, including my agent. I know you all are probably being inundated by the news anyway, so I probably don’t even have to ask, but just remember to keep them all in your prayers. We’re sending them up like crazy here! Bring the rain, Jesus. Or, considering our FL friends are dealing with flooding… maybe we should pray that He moves the rain?? *sigh* God is a big God. None of this surprises Him. He still reigns in time of fire and flood, and He lets the flames refine us and the water cleanse us. Not sure when… but it’s coming. Krista, I had my tonsils out as an adult and I'm here to tell you it was BAD! Pain meds around the clock for days and then about 10 days into it you think ok… ok… I'm going to live. BUT NO, then you eat a bite of fried chicken and nearly pass out from the pain as the scabs come off and expose the area AGAIN… Doesn't last but a day or so that time but it is not pleasant… Just love her and be patient with her, she really doesn't feel good… Wish I was there to help.. Yikes!!!! well… she can't eat… so not sure if that is a good or bad thing quiet yet!!! thanks for prayers!! Thanks, Jenna!!! I REALLY appreciate it! It can vary radically in terms of how children heal after T and A but at three weeks she should be healed. It sounds like she doesn't really eat very much and that may be part of how slow this process has been for her. Swallowing over and over and having the site "flushed" is so much help. The other thing that REALLY did the trick for my daughter from day one (as a three year old) was Lays Potato chips. Nowdays I would use Chester's Puff Corn (I think that's the name). They make cheese or butter for $2 a bag. It is sort of like popcorn without hulls, but it melts in your mouth. The salt is what can really help. If she can have it, I'd try it. Anyway, my two cents worth. I seldom comment but I read the blog faithfully and cheer for every milestone your precious baby attains. And for crying out loud (no pun intended), don't be hard on yourself for the struggle that this journey has been and will be. It just occurred to me as I am writing, that with your writing skills perhaps you could write little notes about your love for each of your other girls every once in a while and put them on their pillows for them to find at bedtime. I think they would really treasure such notes. God's blessings. Unfortunately she doesn't eat ANYTHING by mouth, which I think is slowing down the healing process. It probably made it less painful at first but now she hasn't had anything to swallow except a little water and her spit… and she's thrown up every day (until today! WOOT!) since surgery, so that acid coming back up I'm sure is just making it worse too. Thanks for your other notes too!! Writing notes is a good idea:-) I do that occassionally, but not as much as I should! We do try to make it a habit to "date" our kids individually… haven't had a lot of time to do that lately but we make time, even if it's just a quick trip to the store and one gets to come with and pick out something little and have some "hang" time with mom or dad. I had my tonsils removed when I was five and don't remember much about the pain now, so there is hope that this too will pass. I will be praying for her as she heals; as well as, you to have the love, patience and fortitude Annabelle and the rest of your family needs. praying for Annabelle here too.